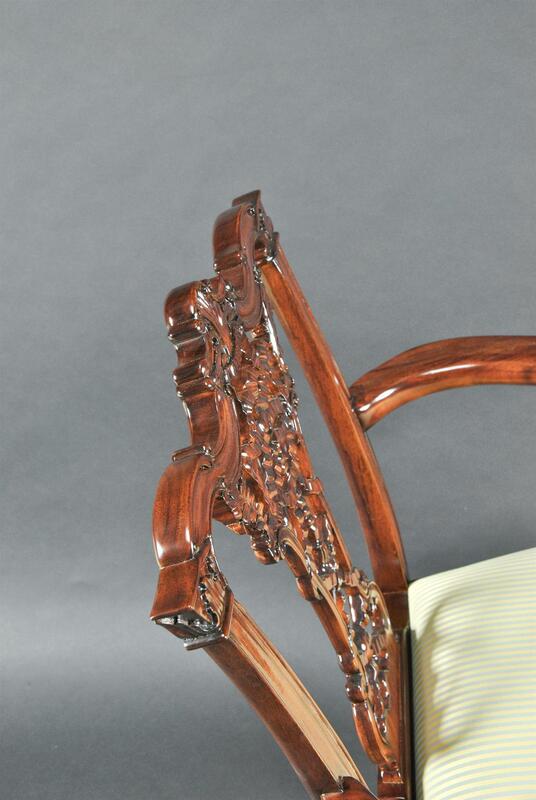 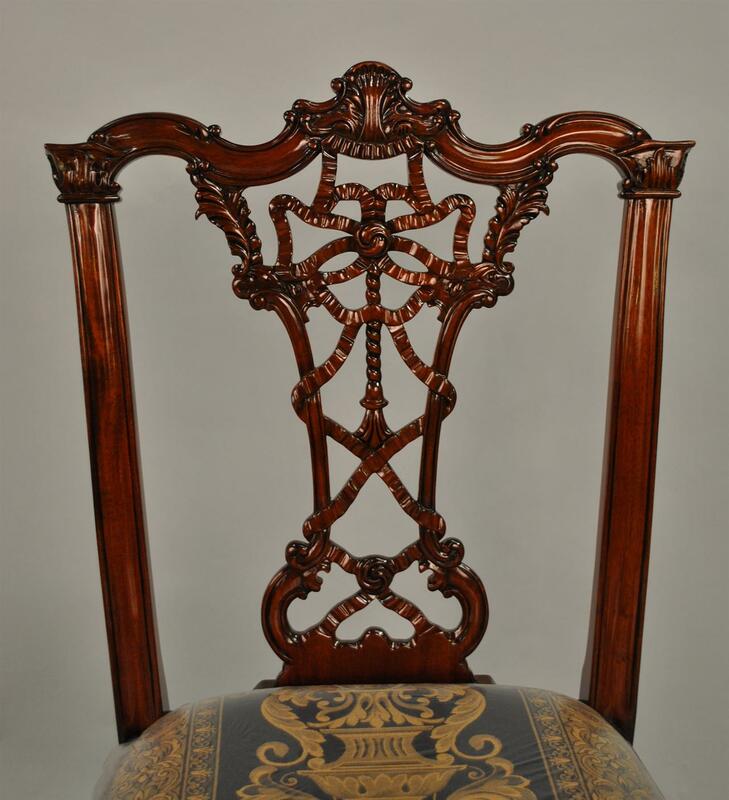 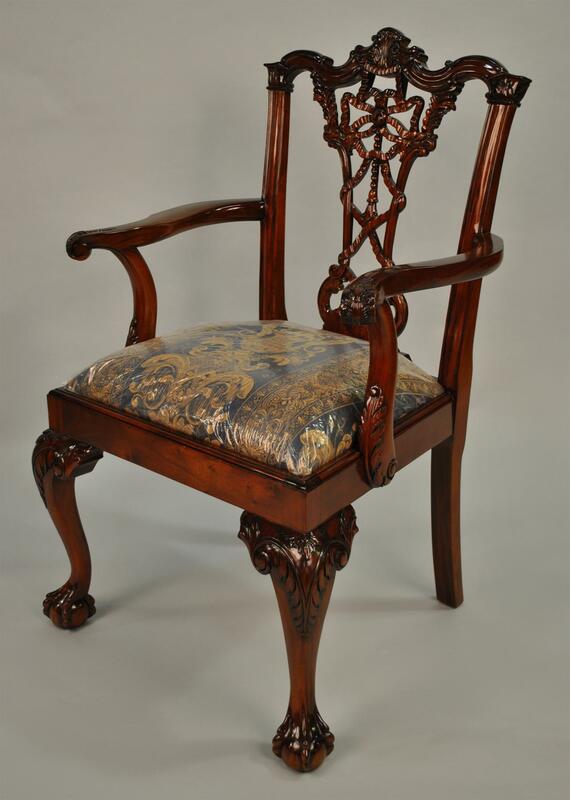 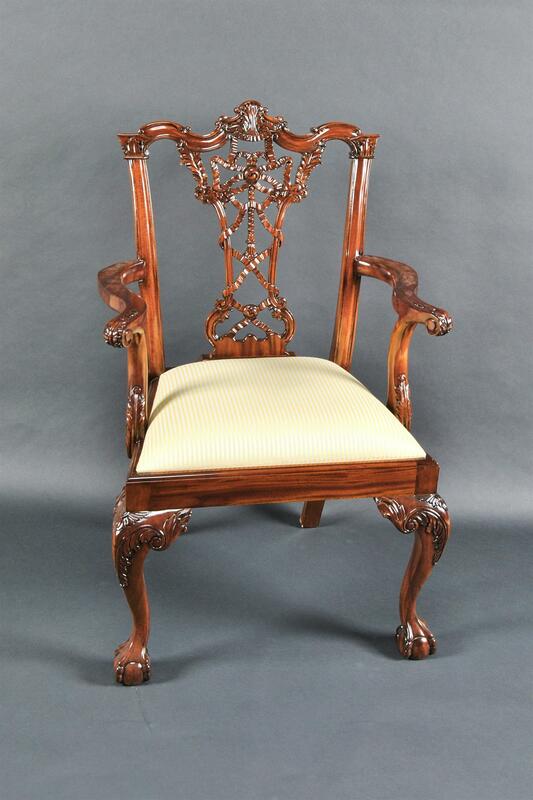 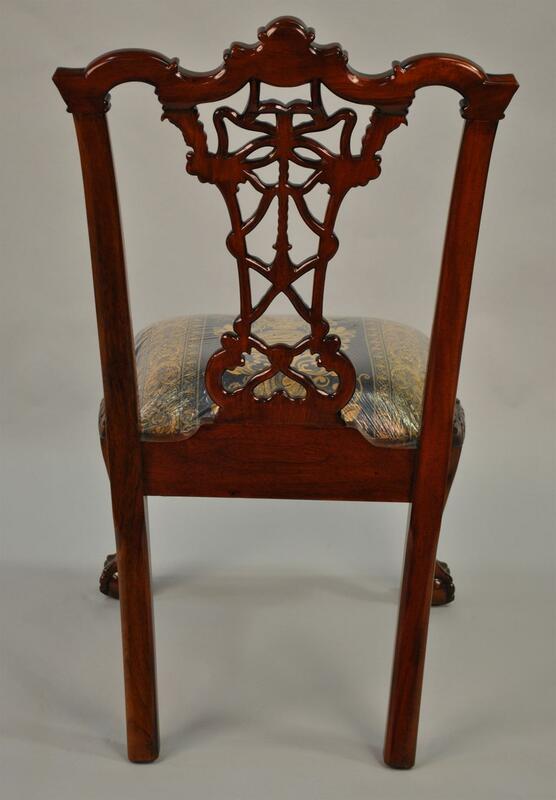 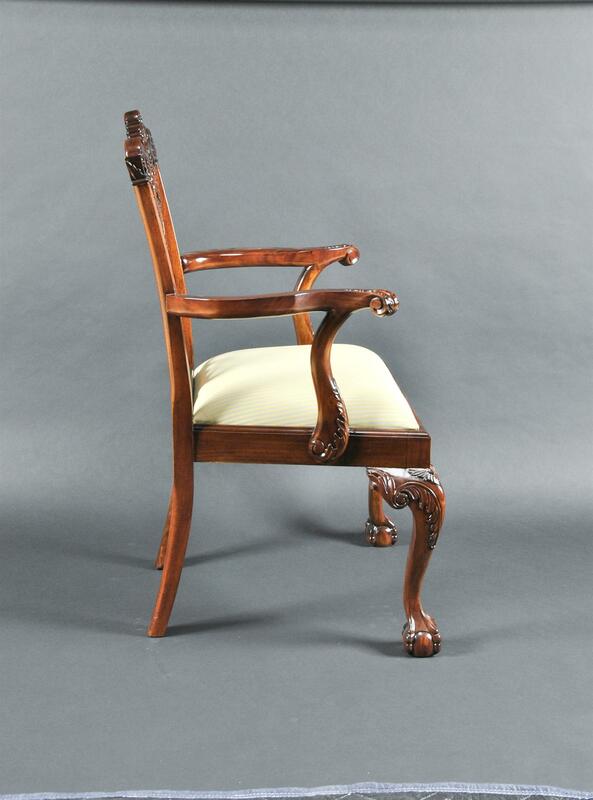 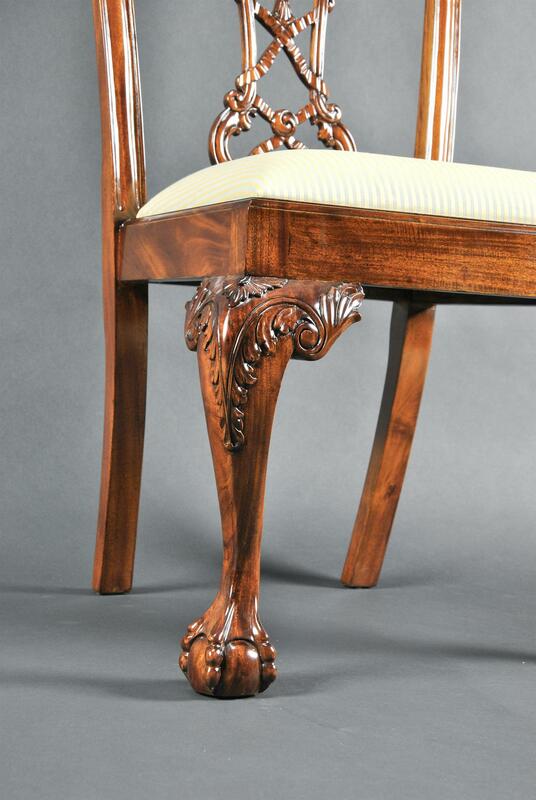 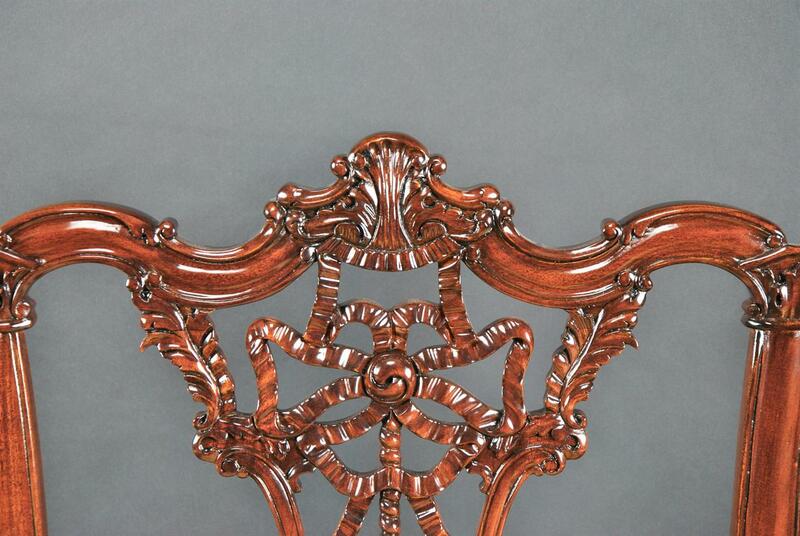 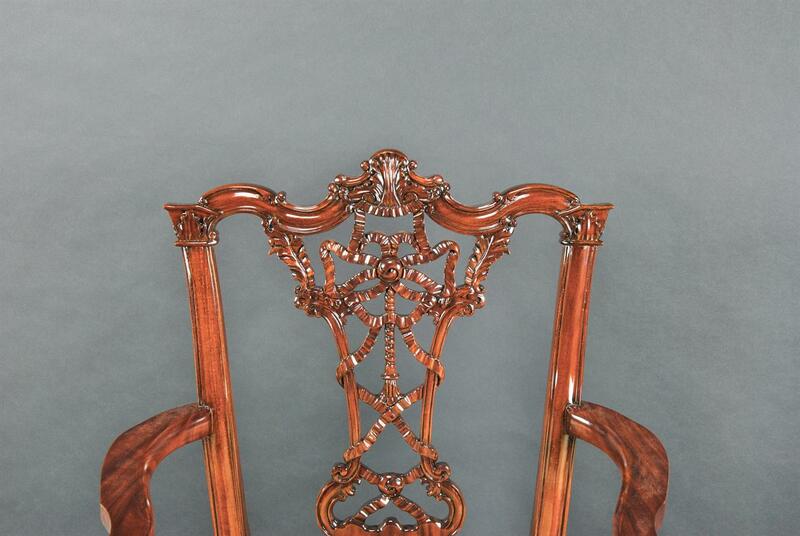 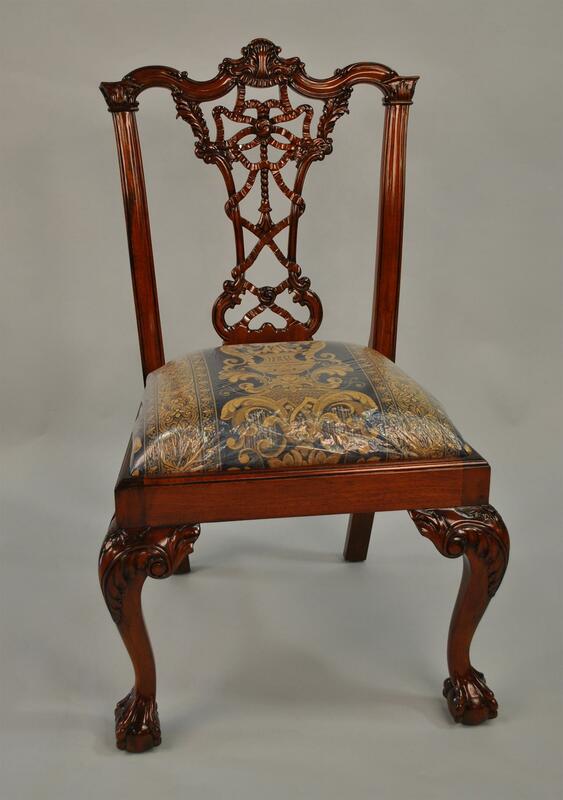 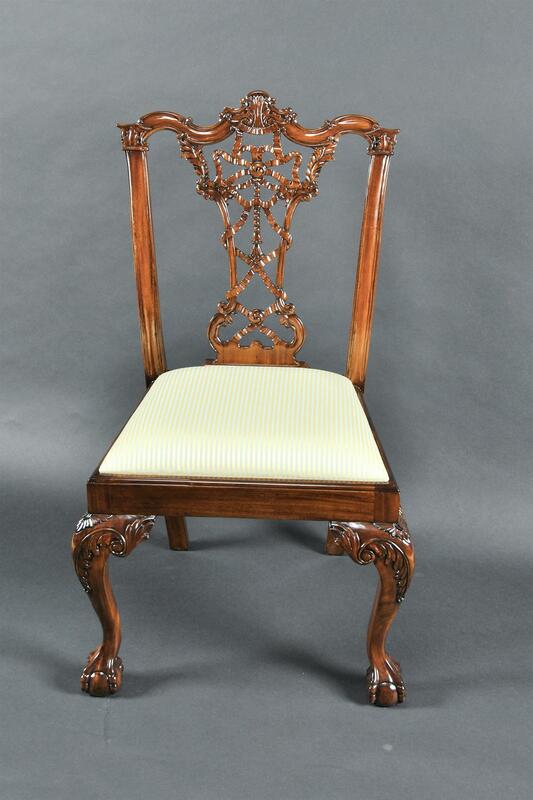 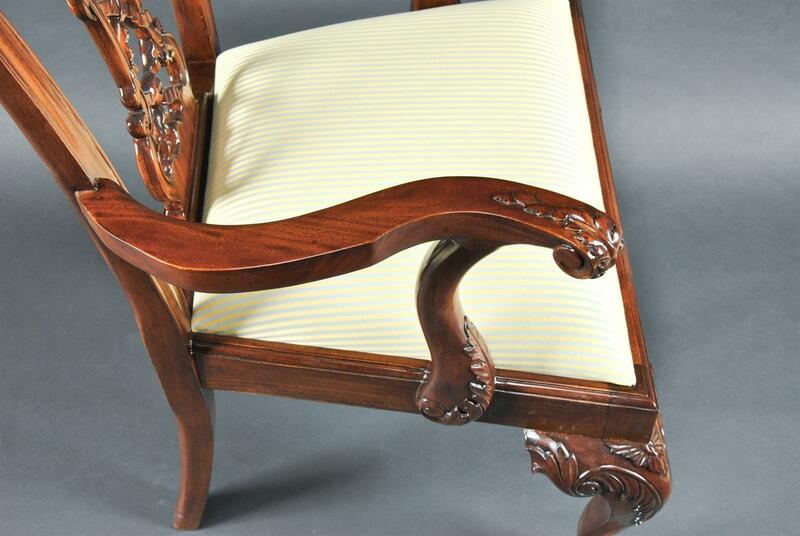 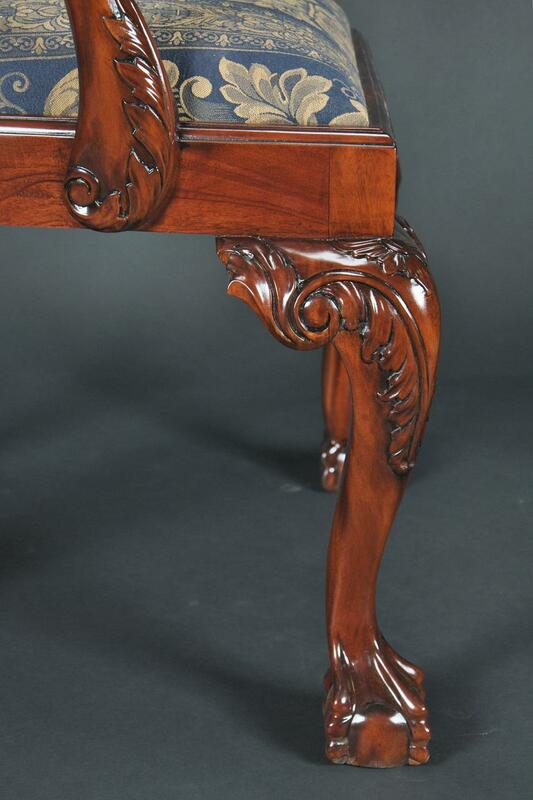 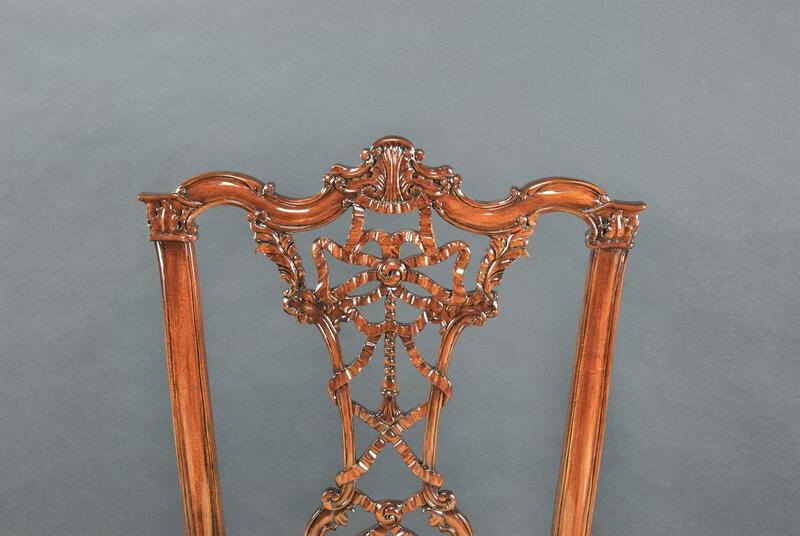 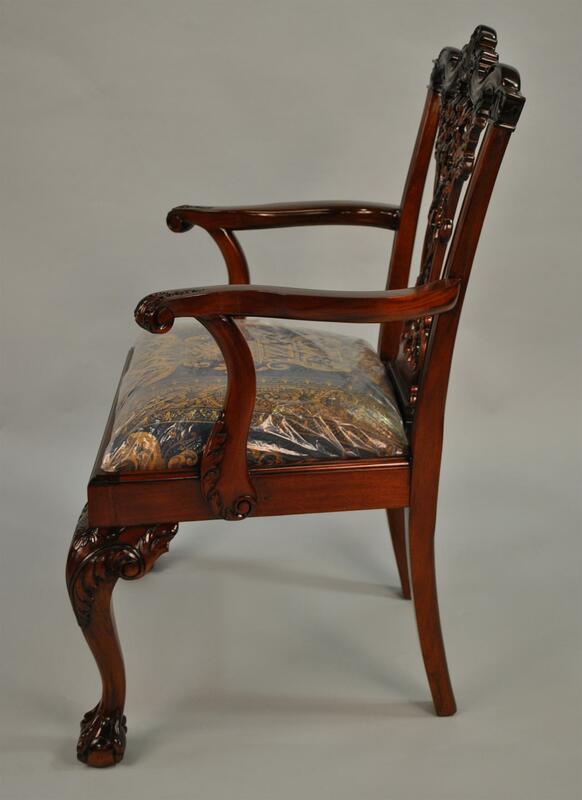 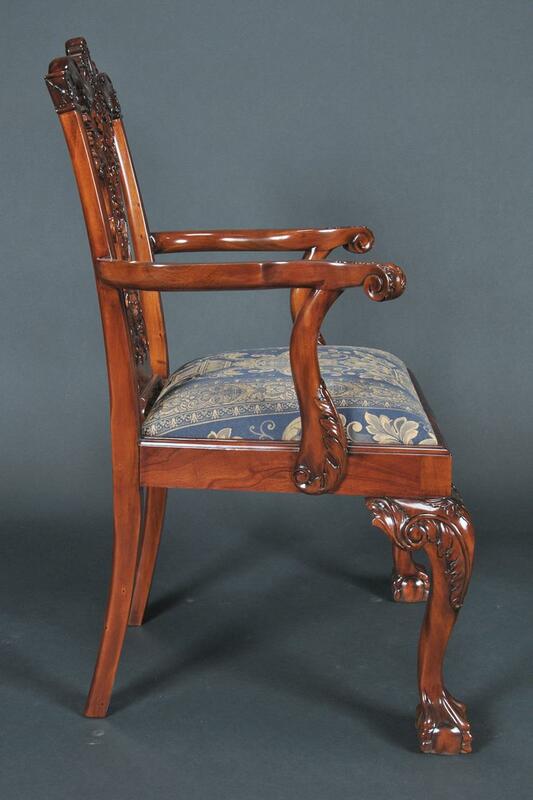 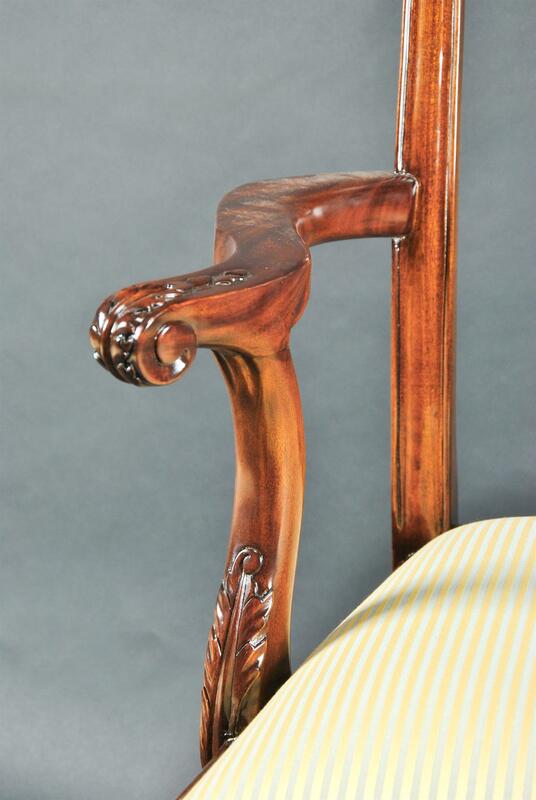 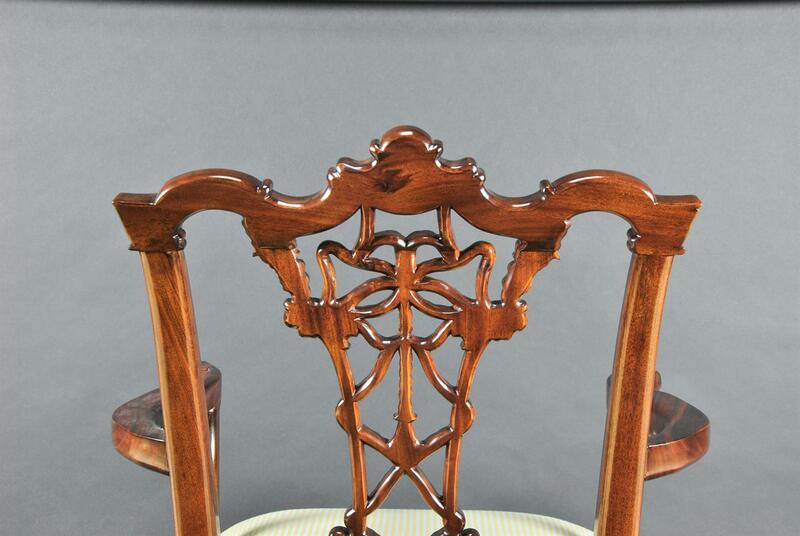 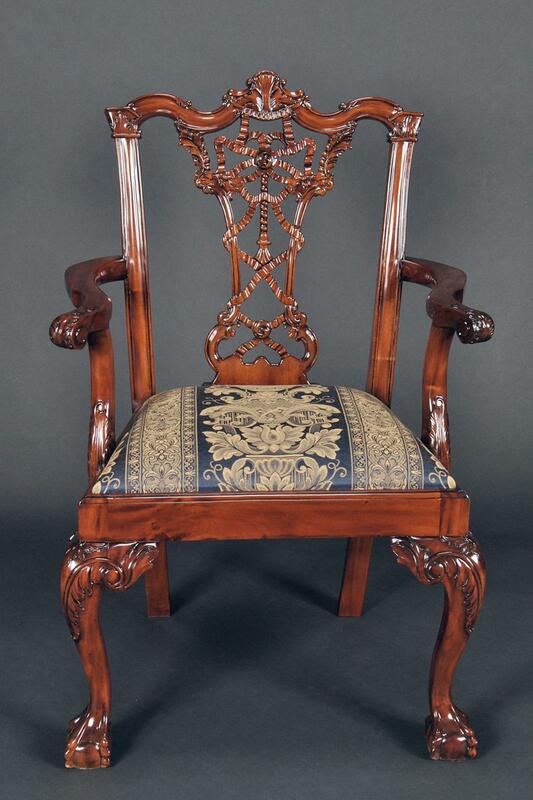 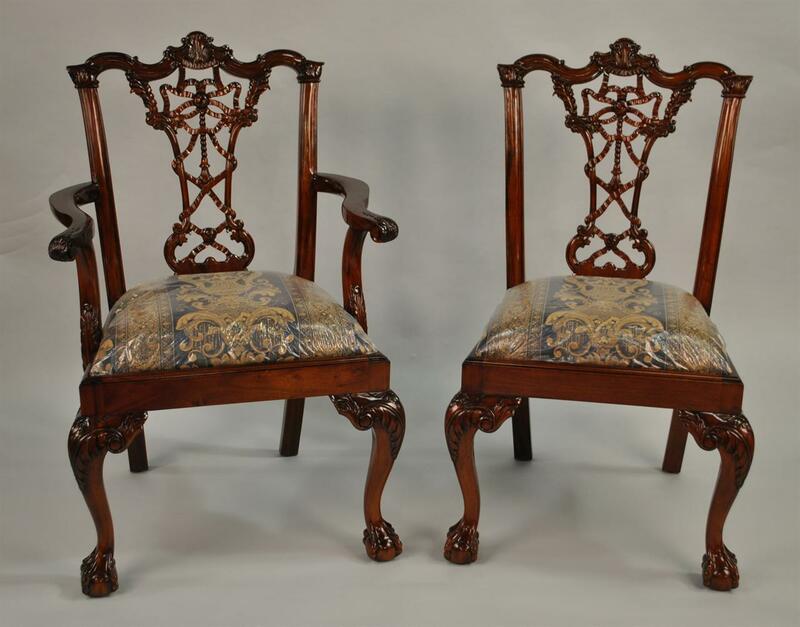 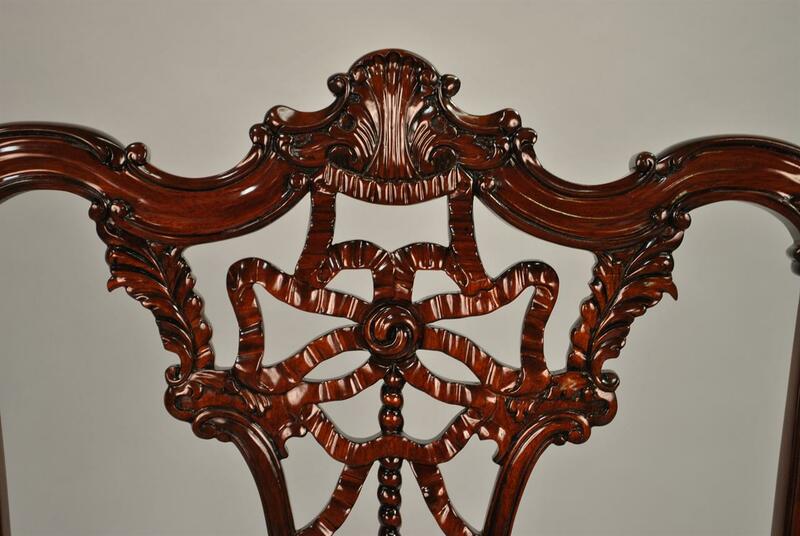 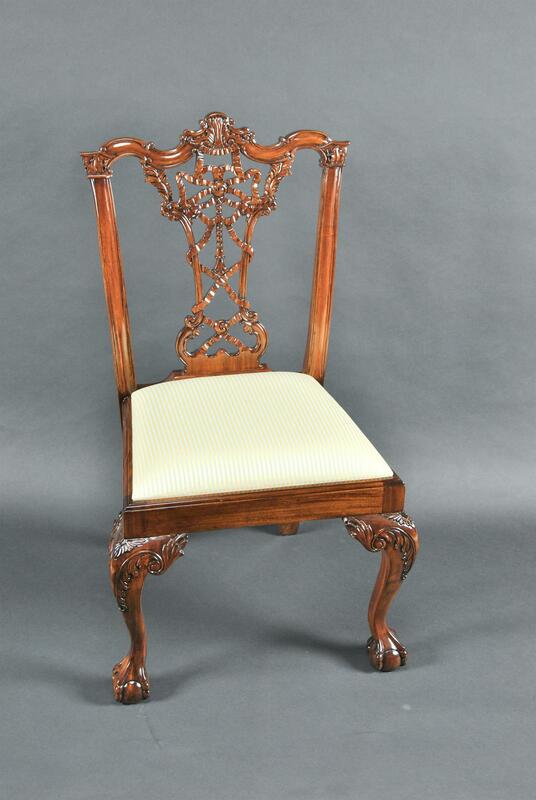 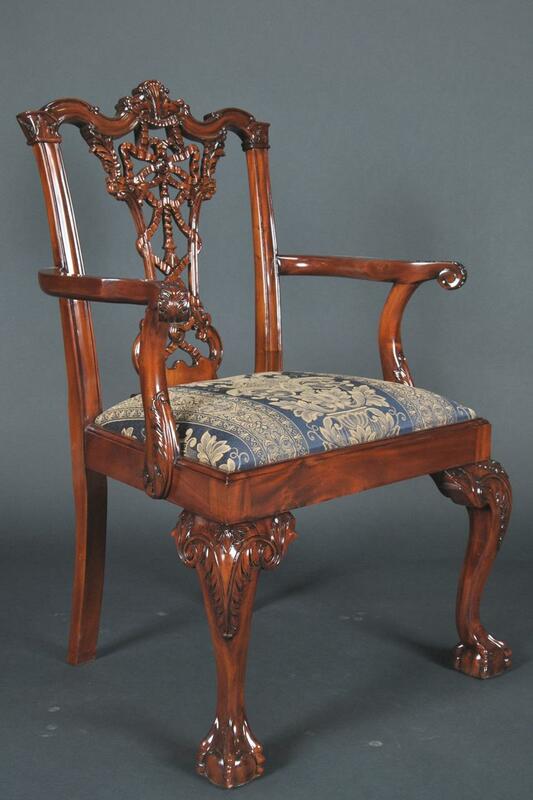 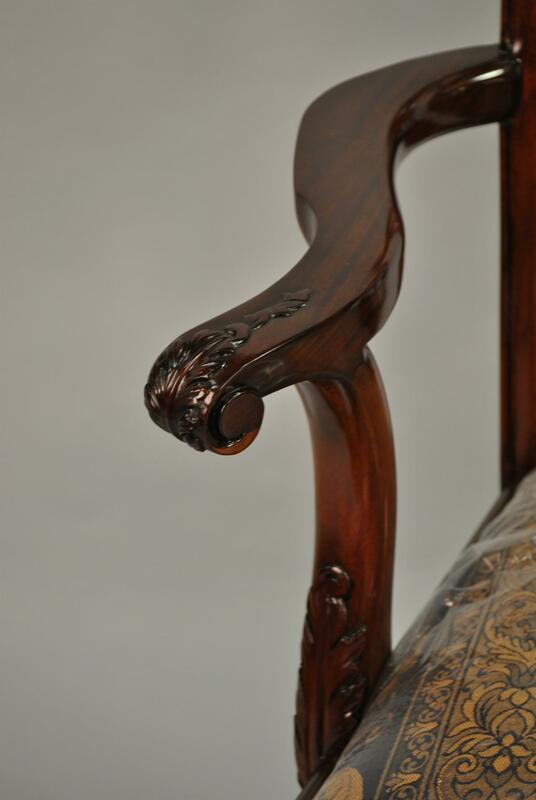 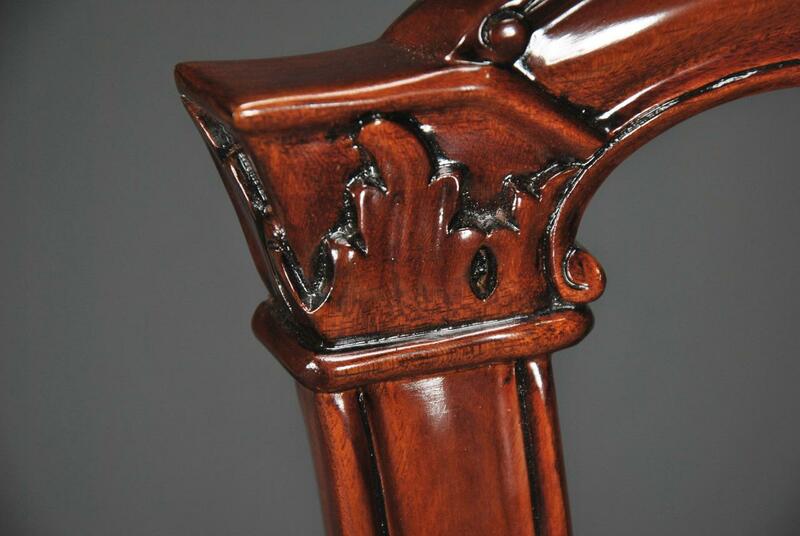 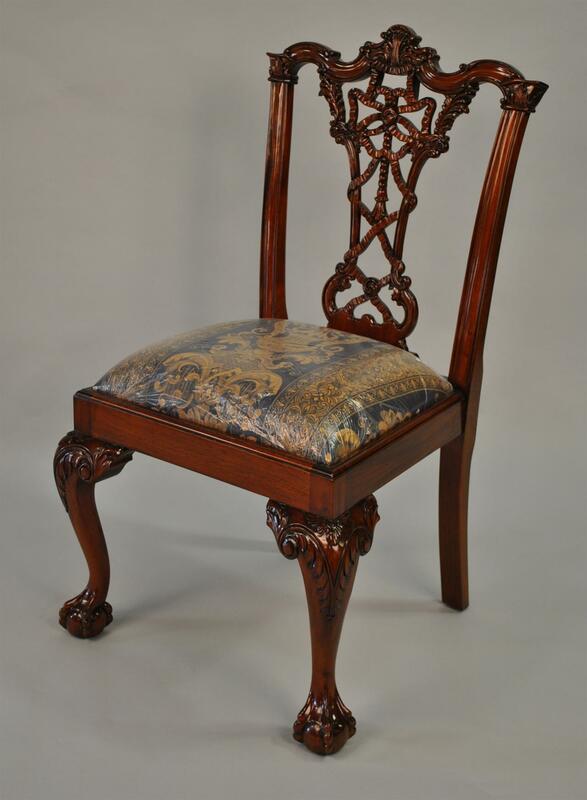 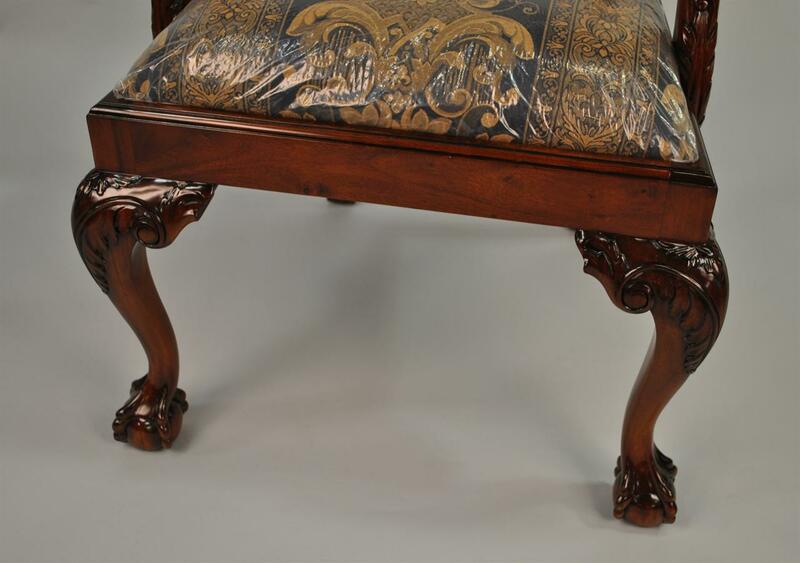 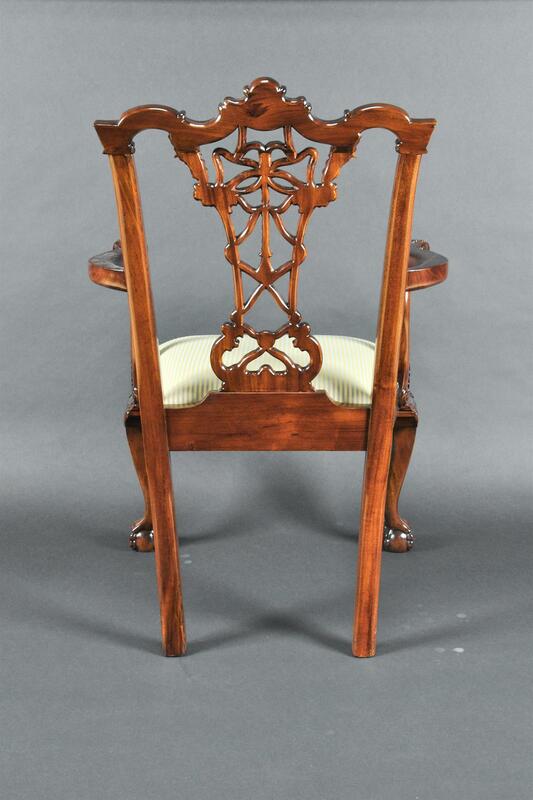 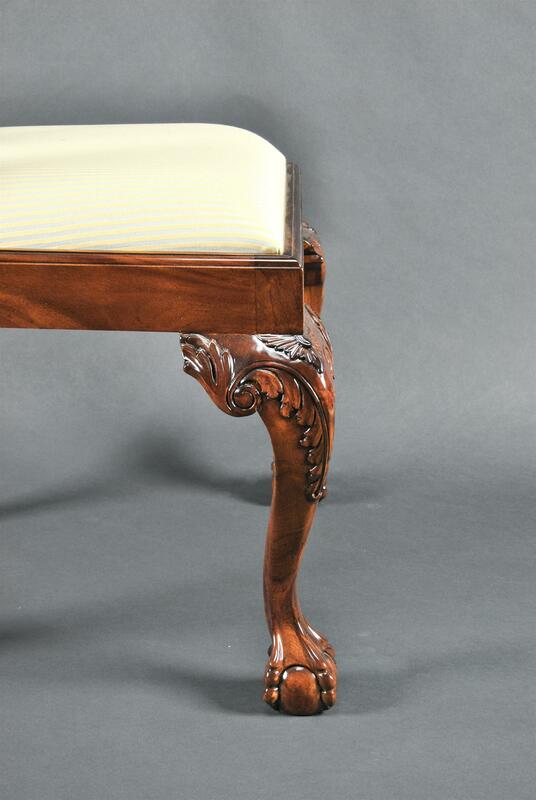 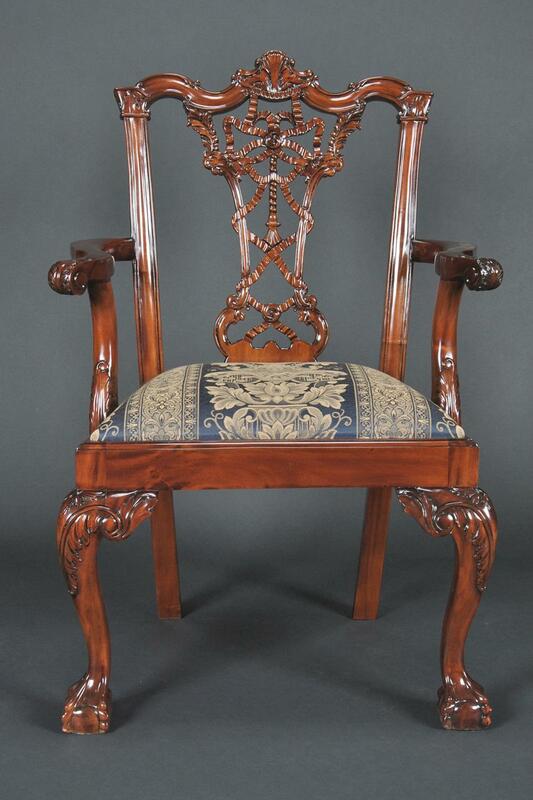 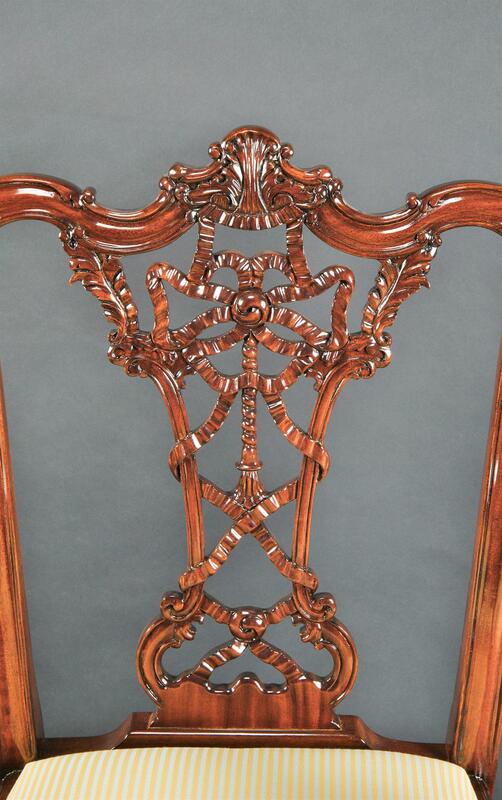 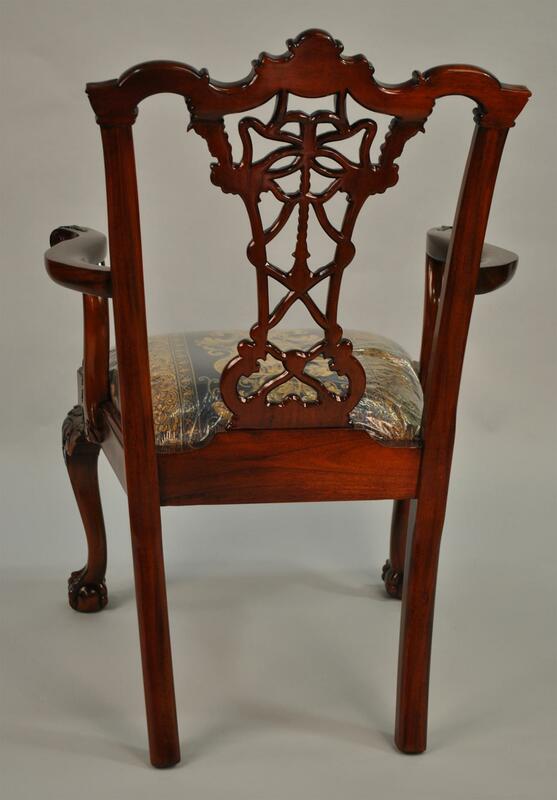 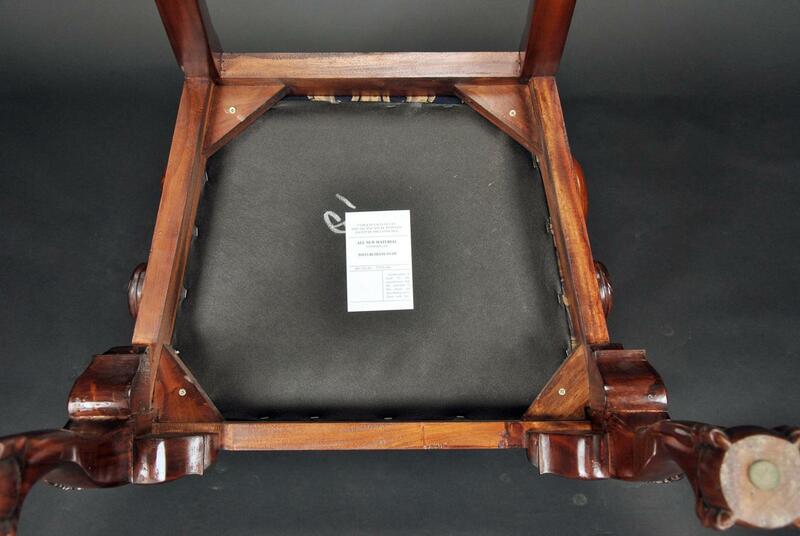 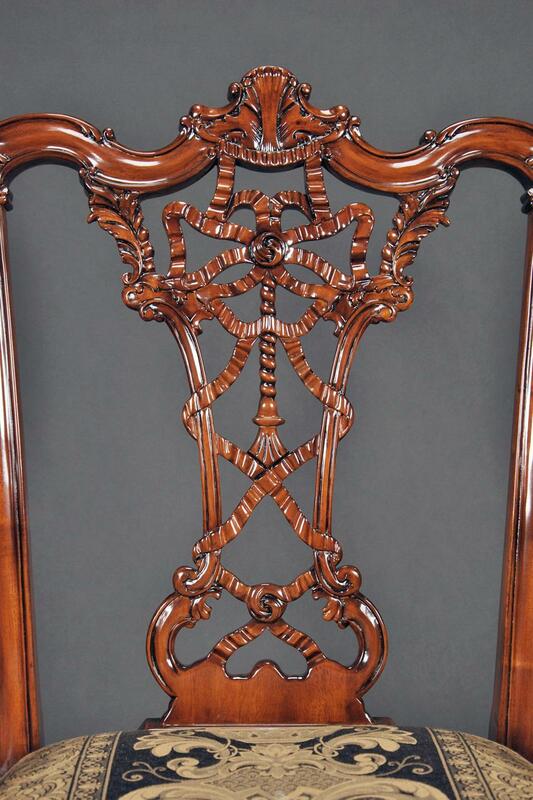 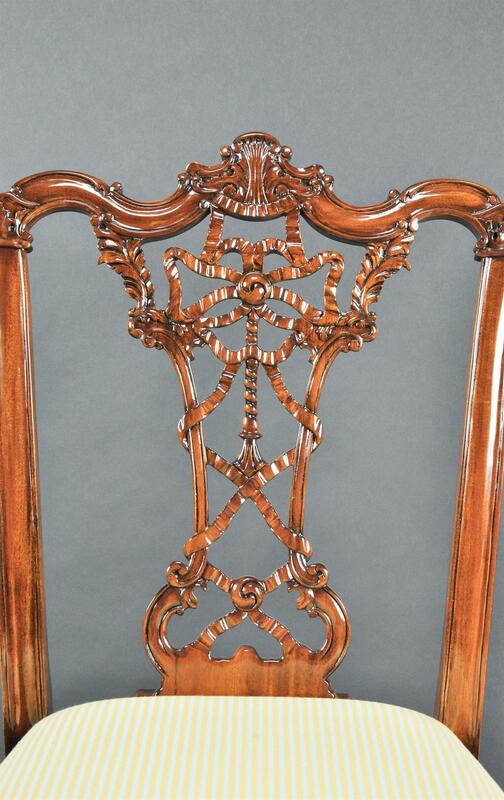 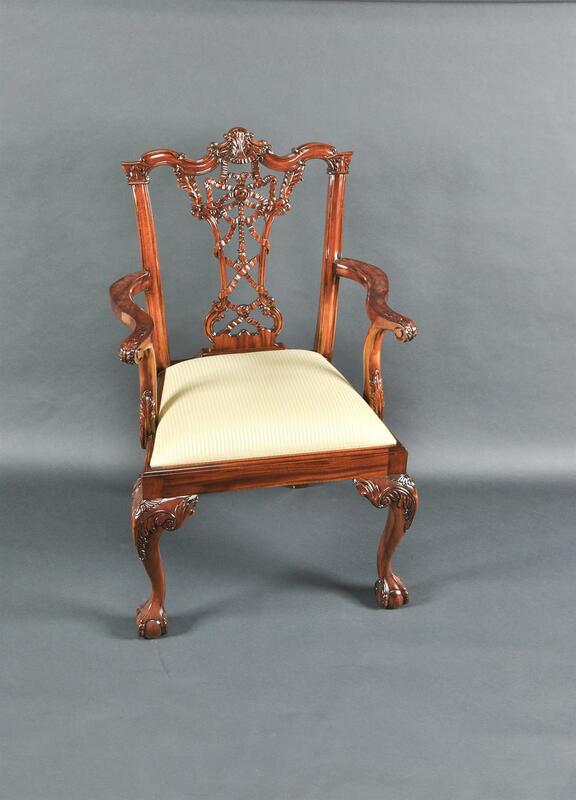 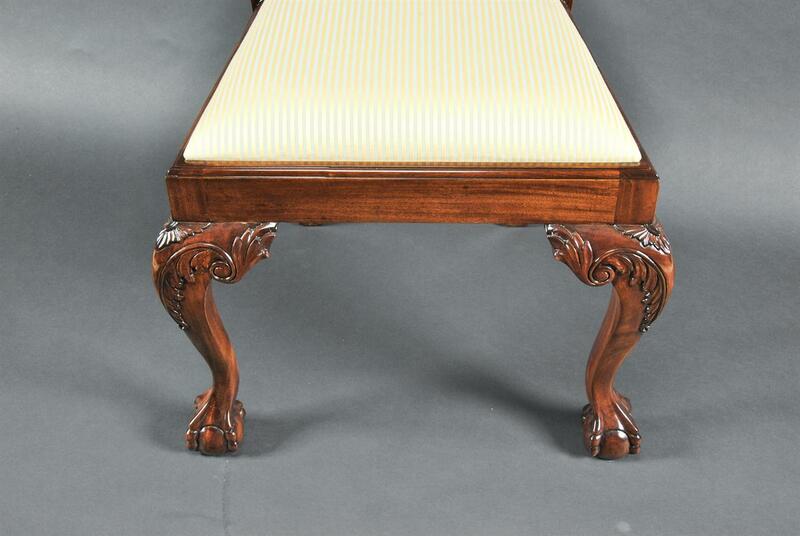 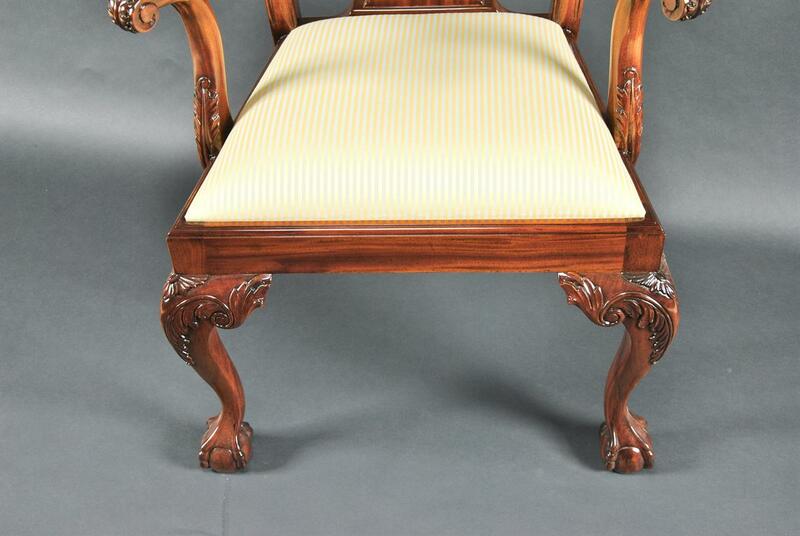 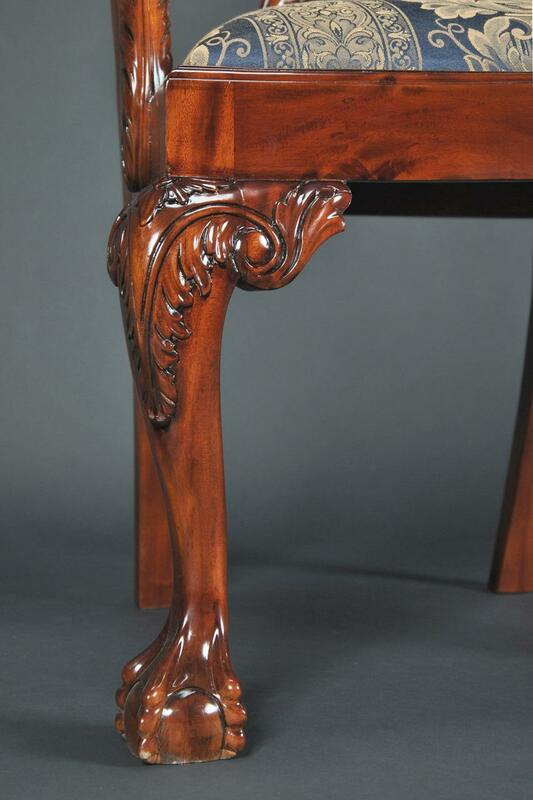 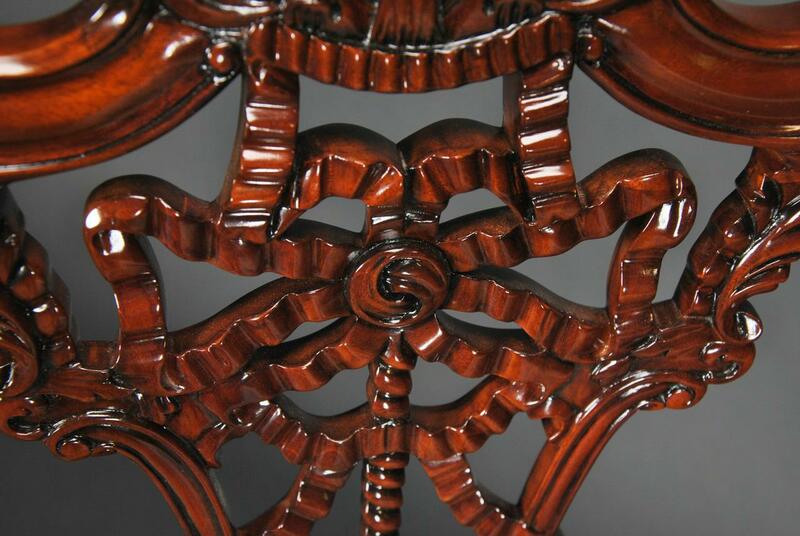 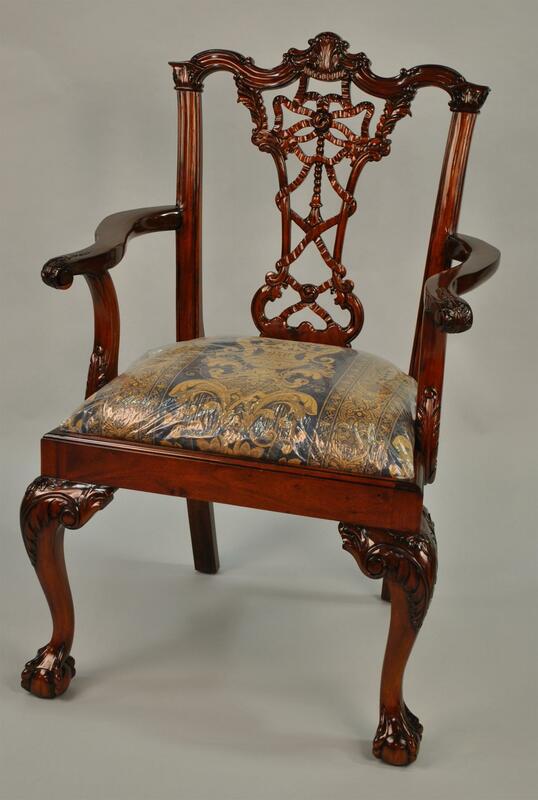 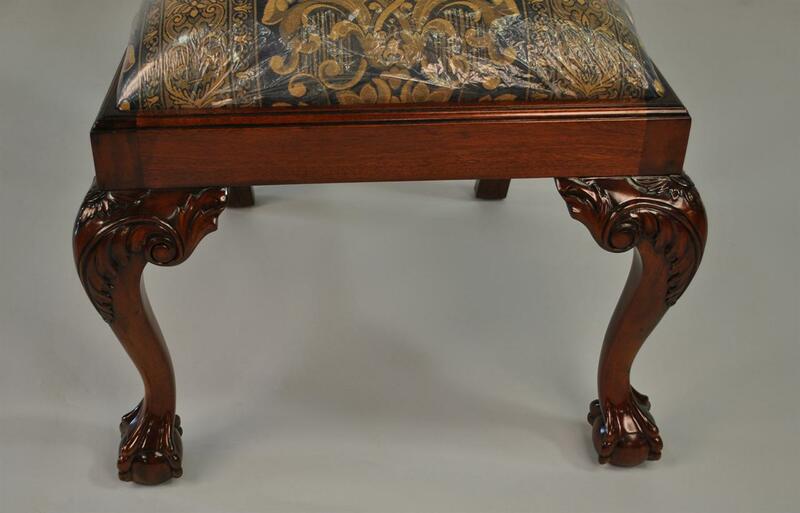 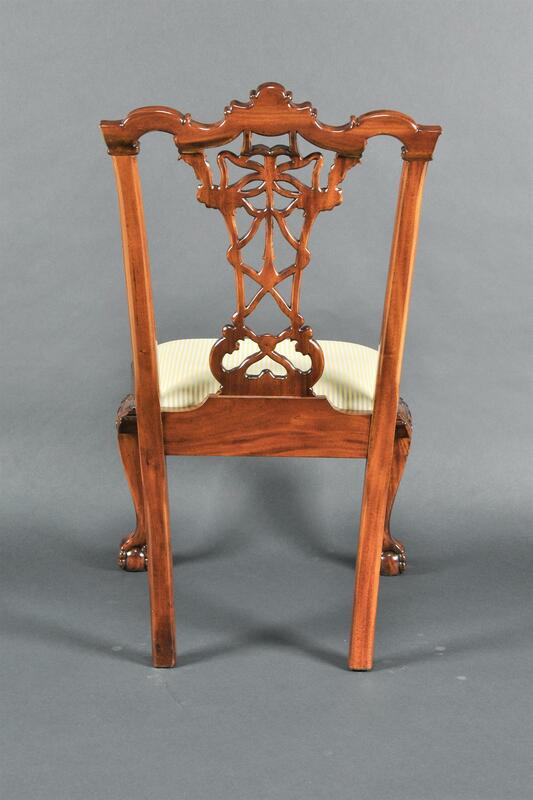 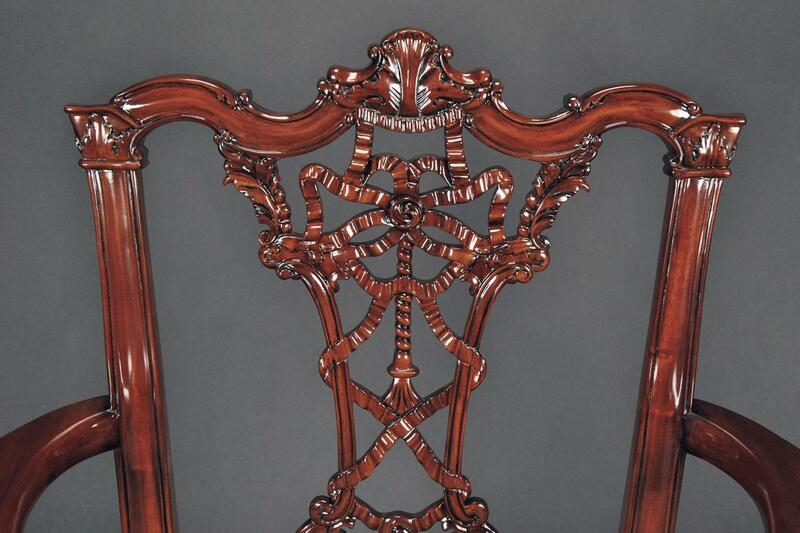 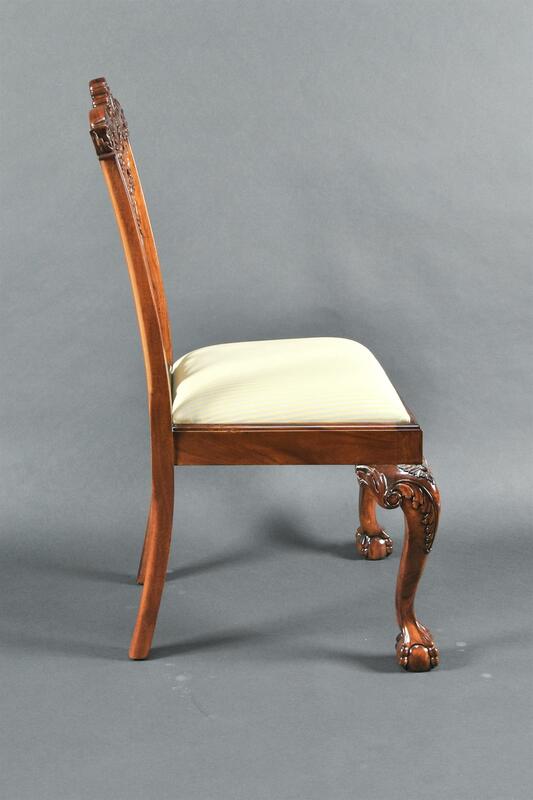 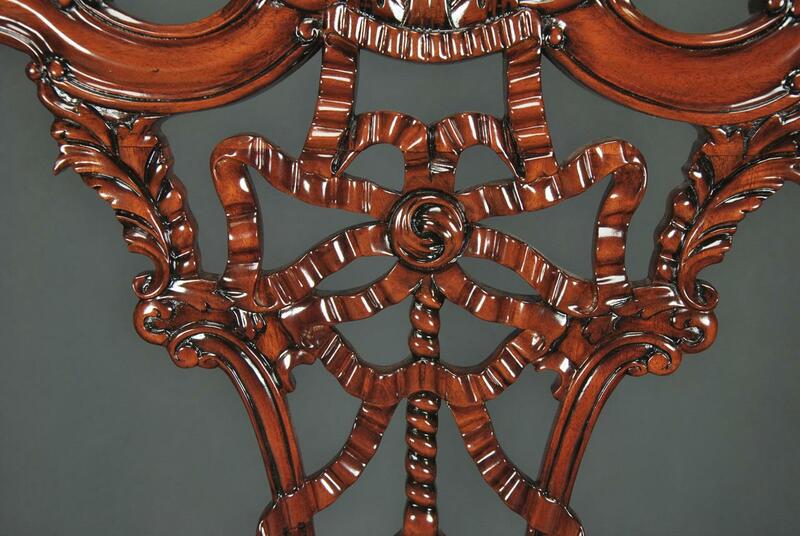 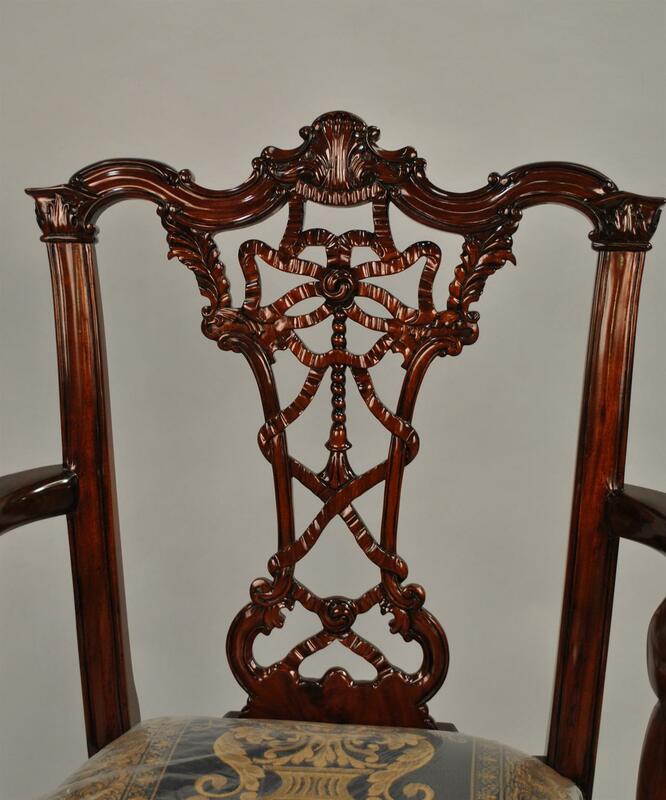 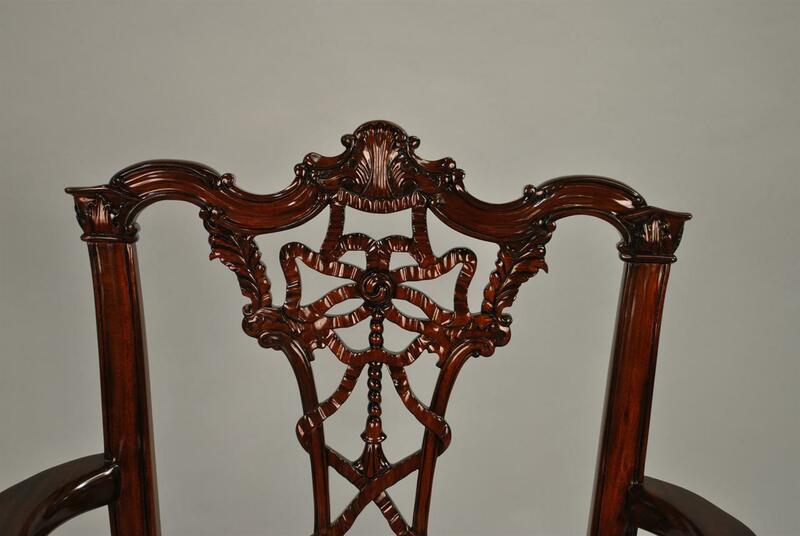 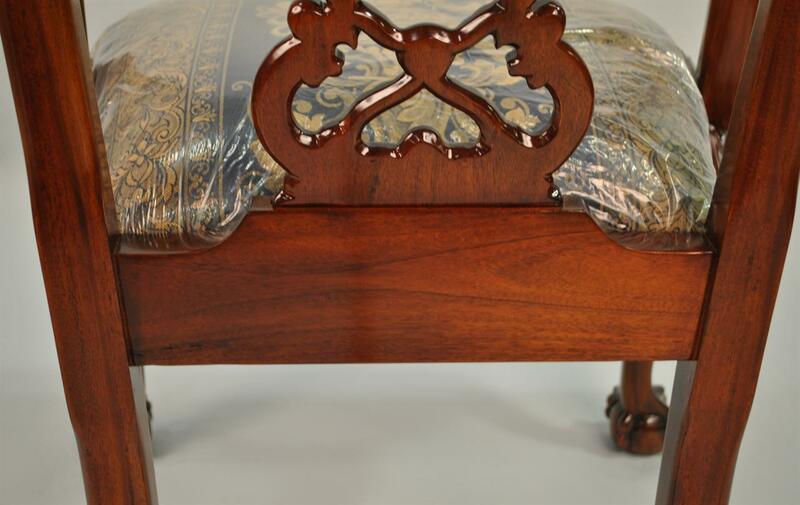 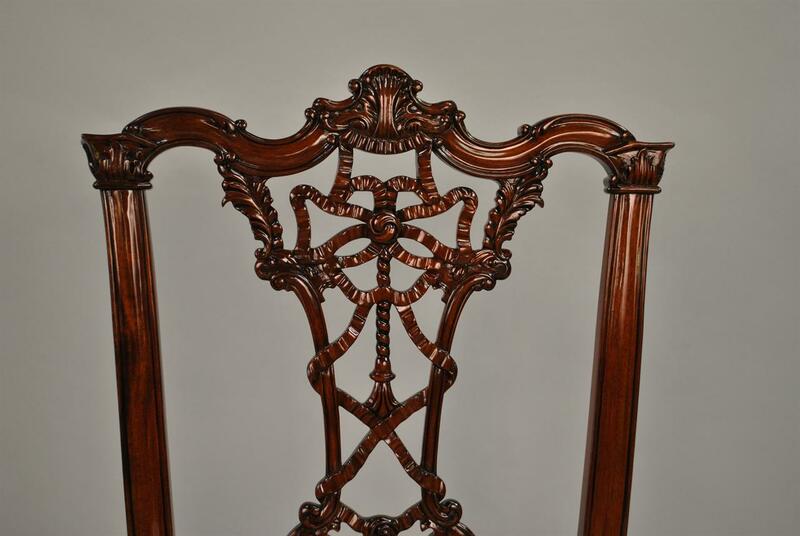 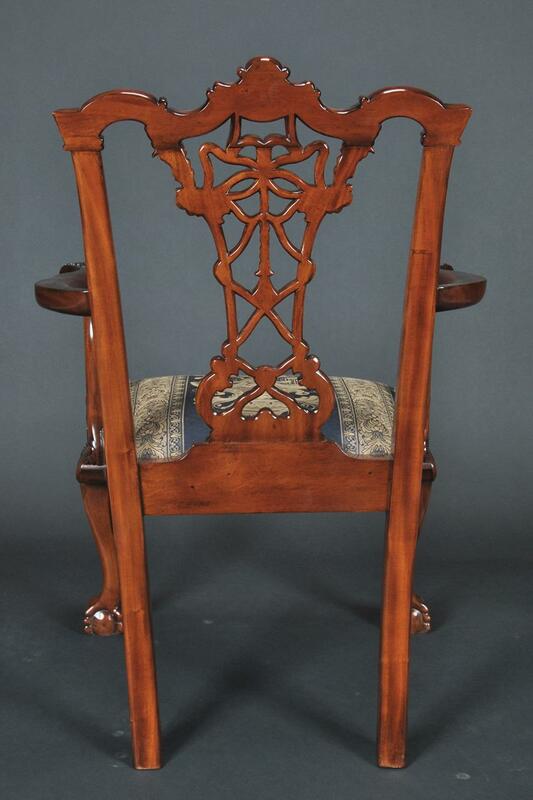 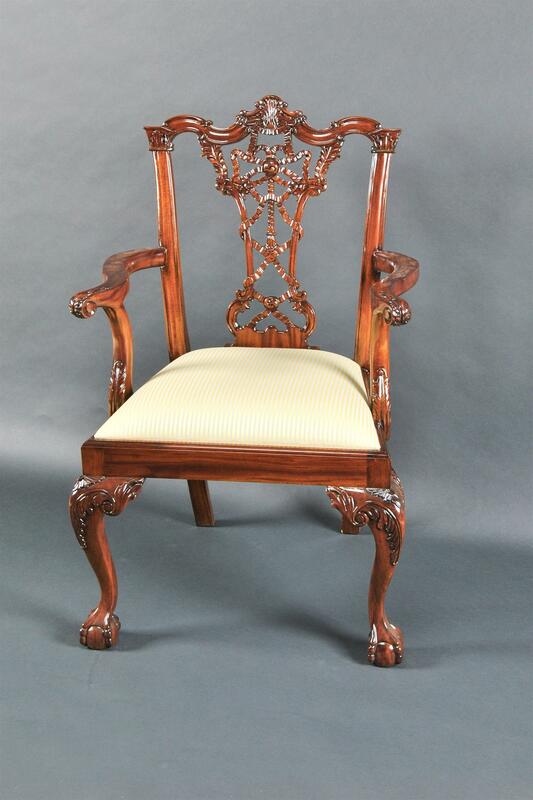 Description: Set of ten solid mahogany chairs created after the famous chairs designed by Thomas Chippendale for Nostell Priory in UK. 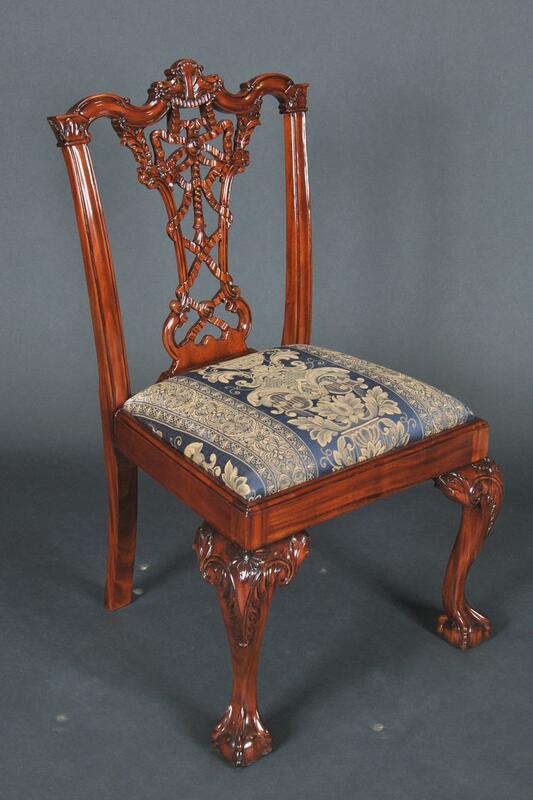 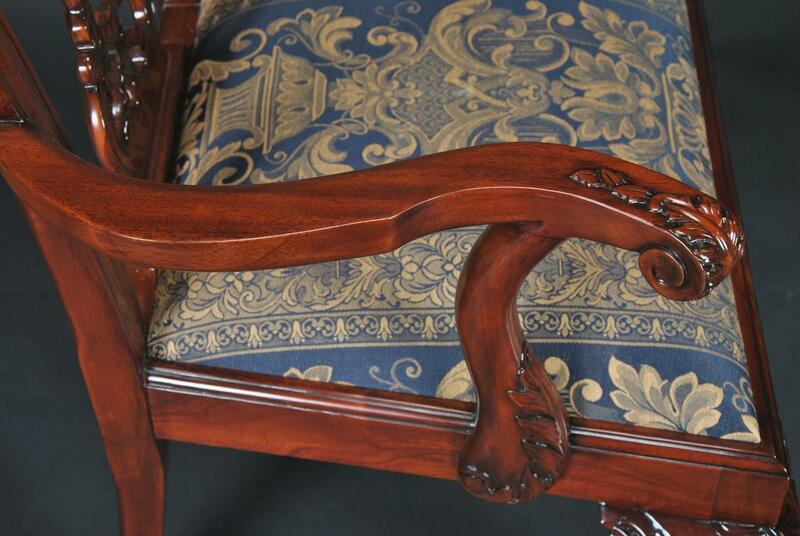 These chairs feature fantastic hand carved details, solid mahogany construction and neutral fabric that will adjust to most any setting. 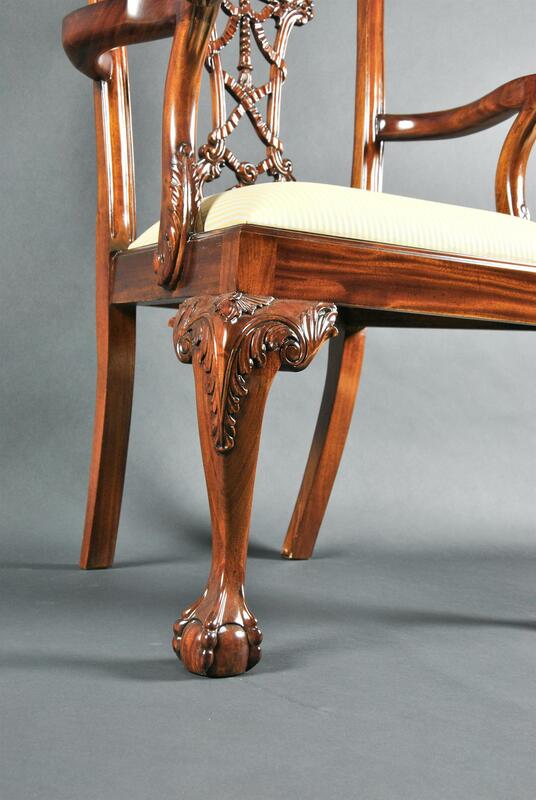 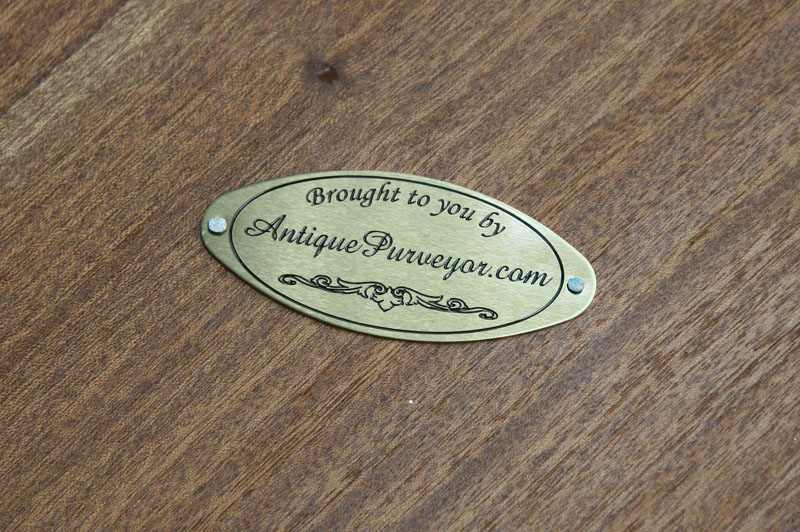 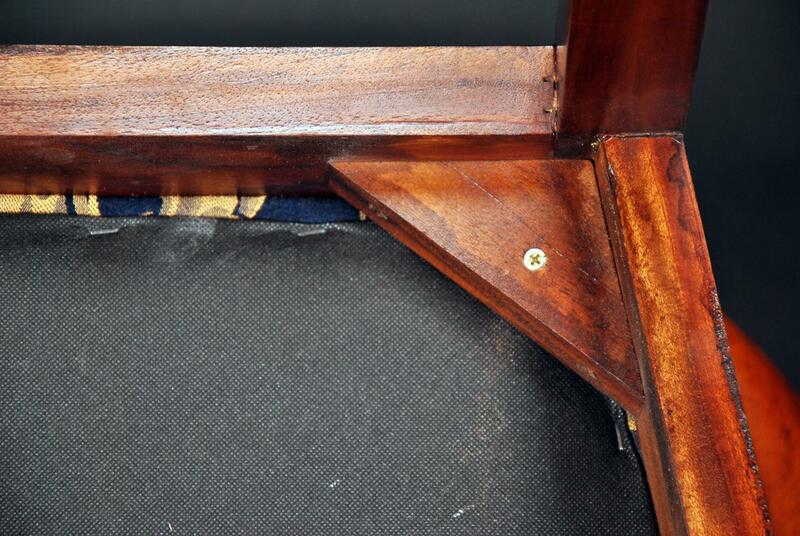 Further photos will be available in July when the chairs arrive in our warehouse from the factory. 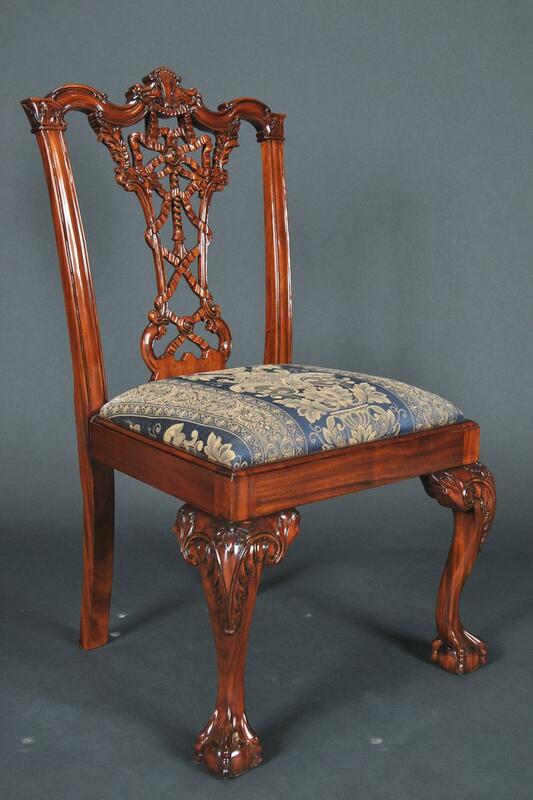 Measurements: 27" wide x 21" deep x 41" high for arm chair and 24" wide x 20" deep x 41" high for side chairs.